I made this stitched mothers day card and added a cross stitch border and some scrapbook bling embellishments to add some excitement to this card layout. Click on image above for expanded view. 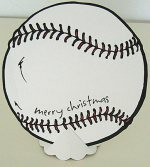 This is quite an easy card to make. The main thing is choosing the right patterned paper and just embellished it with blings and cross stitches. 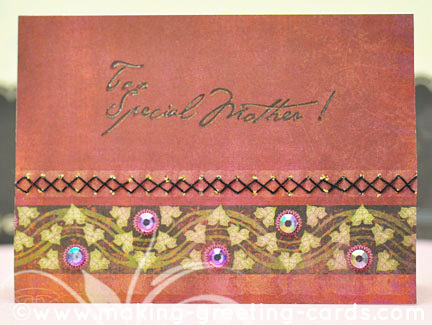 Then add the 'To a Special Mother' message on the top. Below is how I did it step-by-step. Hope this cross stitch card will give you some Mother's day card ideas as well as inspiration to create your own Happy Mothers Day cards. 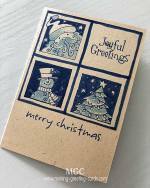 Note: If you don't have the the patterned paper, just use one that has a border pattern at the bottom or you can create your own border and attach directly to the front of the white cardstock. Though this stitched Mother's Day Card looks simple to make, it does takes a bit of time making it because this is a cross stitch card and so needs some sewing. The important part is getting the holes pierced properly. I use We R Memory Keepers' Sew Easy stitch piercing tools because they are convenient and quite effective although if you don't apply the right pressure, some holes might not be properly pierced. Then you would need a head pin or a sharp tool to correct it. But then it's better than tracing or drawing the dots and trying to pierced it by hand. 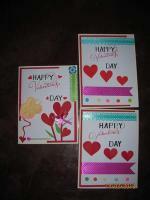 Fold cardstock to make horizontal blank card. 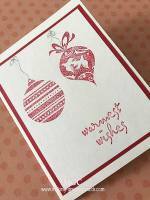 Apply adhesive to patterned paper and paste to front of horizontal blank card. Ink message stamp 'For a Special Mother' with black pigment ink and stamp on the top half of the card. Go over the words with a gold fine tip marker. Place card opened out on piercing mat. Roll piercing cross stitch roller along the bottom of card just above the border. Use a steel ruler to help make it straight. Use head pin or sharp tool to pierce any holes that are not pierced properly. Thread black thread into needle and sew cross stitched. Dot the pierced holes with the gold marker. Paste the scrapbook bling embellishments onto the border pattern where the circles are. Viola! Your simple cross stitched Mothers Day Card is ready to be posted. You can print a mother's day poem or a mother's day quote inside the card or write your own message. I feel that a personal handwritten message is the best. And I stoop to kiss that precious smile. Click here to read some Mother's Day poems.